The sway bar is intended to force each side of the vehicle to lower, or rise, to similar heights, to reduce the sideways tilting of the vehicle on curves, sharp corners, or large bumps. With the bar removed, a vehicle's wheels can tilt away by much larger distance. Although there are many variations in design, a common function is to force the opposite wheel's shock absorber, spring or suspension rod to lower, or rise, to a similar level as the other wheel. In a fast turn, a vehicle tends to drop closer onto the outer wheels, and the sway bar will soon force the opposite wheel to also get closer to the vehicle. As a result, the vehicle tends to hug the road closer in a fast turn, where all wheels are closer to the body. After the fast turn, then the downward pressure is reduced, and the paired wheels can return to their normal height against the vehicle, kept at similar levels by the connecting sway bar. 1955-1957 Chevy Rear Stabilizer Bar, 7/8" Diameter wtih Urethane Bushings. 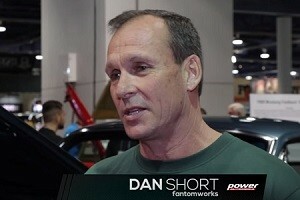 Fits stock suspensions only. 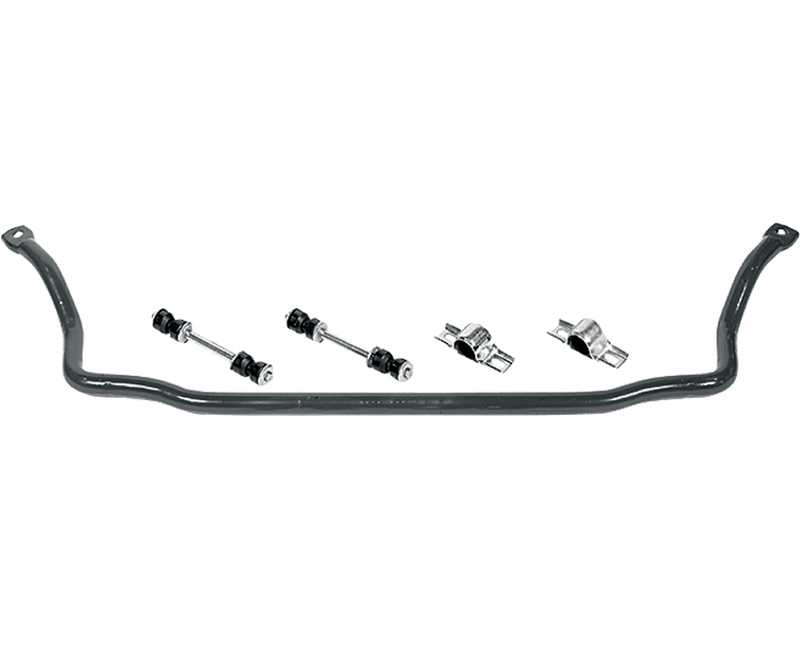 1964-1970 Mustang PRO-G 4-link Swaybar kit. 7/8"
'64-70 Mustang 1-1/4" splined sway bar kit with mounting brackets. Works with version two PRO-G IFS. 1965-1972 Ford F100 1" swaybar kit. This swaybar is intended for use with a Heidts Superide II IFS kit only. 1970-1971 Ford Torino front swaybar to be used only with our Heidts Superide II IFS kit.